Another year has gone by and once more we’re getting ready to celebrate International Women’s Day. This year’s campaign theme is #BalanceforBetter – urging us to take action and build a gender balanced world. There are plenty of economic, social and moral arguments for gender balance in all aspects of life. In the business world there’s mounting proof that achieving gender balance at all levels will have a positive impact on the bottom line. 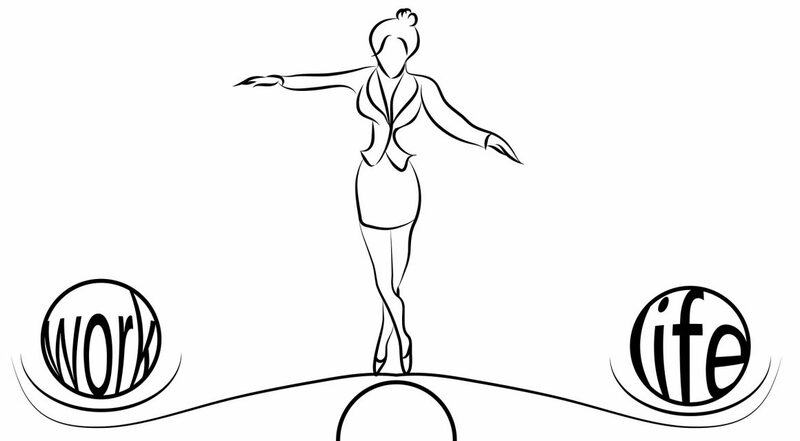 And in my experience achieving that balance requires an employer to support good work-life balance. There’s growing evidence that mothers (and an increasing number of fathers) are compromising their careers in their efforts to achieve work-life balance. There’s also considerable research evidence confirming that flexible working is a key factor in supporting women’s career progression. Wider access to well-structured flexible working arrangements often has other benefits. For example, it allows fathers to be more involved in child rearing; which in turn enables mothers to participate more fully in the workplace. In an ideal world our employers would be fully convinced of the benefits that accrue when everyone can work flexibly; and would have practices in place to make that happen. We embrace our pioneering role. The corporate world needs a new band of leaders ready to complete the workplace revolution by modelling new possibilities. Not just for our own sake, but also for the benefit of future generations. Do we want our daughters and sons to struggle with work-life balance in the same way we currently do? We connect with our power to source the courage we need to ask for #better. It’s easy to feel disempowered in the face of embedded cultural norms that tell us we must choose between career and caring – we cannot have both. When we dig deep we remember that we’re not only entitled to live a balanced life but that doing so is essential for our wellbeing. We take the first step recognising that change often happens slowly and incrementally: and that’s no bad thing. When we’re pioneering new ways of working things will not always run smoothly. We’ll need to make adjustments on the journey; to pause and reflect. And we’ll need to remember that as our life circumstances change we’ll want to restructure again to hold onto our work-life balance. The International Women’s Day website reminds us that it’s a year-long campaign, not a one-day event. So if you’re ready to join the call and #BalanceforBetter why not make that the focus of your life in 2019? Connect with me and let’s work on Balanced Leadership together. When we think of courage most of us will think in terms of big, bold, brave acts. Such as – for example – those taken by the Suffragettes a century ago; and which contributed to improved lives for so many women. While few of us are likely to be called upon to demonstrate this level of bravery; we can all be courageous in our everyday lives. Submitting a flexible working request – particularly in a senior role – may not at first glance appear to be an act of courage, although I choose to see it that way. When we ask in the belief it will improve not only our own lives but those around us we’re demonstrating the courage of our convictions – which the Oxford dictionary defines as being ‘brave enough to do what one feels to be right’. Brené’s books are full of great advice on how to be more courageous. Courage means finding the confidence to step outside our comfort zone. As women we often feel uncomfortable when we think about doing this at work. We know we’ll be criticised regardless of how we step out of line; and there will be people waiting for us to fail (after all terms like the ‘glass cliff’ were not coined for nothing). How can we cultivate the courage to become Balanced Leaders? We start by having faith in the value we bring to our employers; and the contributions we make. Aiming for balance will make us more, not less effective; and more likely to stay in workplaces that desperately need to improve their gender balance. We hold onto our sense of entitlement to a balanced life. Balance allows us to be present for all those important non-work moments that add to the richness of our lives. As they say: nobody on their deathbed regretted not working more. And we continue to hold a vision of a better working world for the generations of women that will follow us. Emmeline Pankhurst reportedly said: ‘courage calls to courage everywhere’. Whether it’s the enormous courage that enabled her to endure or the small everyday courage demonstrated by our grandmothers and mothers as they pressed for progress in the corporate world; it’s all been moving us towards the same end – an improvement in women’s lives. The corporate world still needs to change; to embrace the value of women’s contributions at every level. As women we must find the courage to change it. If we wait for our employers we could be waiting another century. So this month I want to encourage you to step outside your comfort zone. Embrace those small everyday acts of courage that will improve not only your own working life but also that of the women around you. Let’s build on the courage of earlier generations of women, grow ourselves into Balanced Leaders and complete the workplace revolution. Making a commitment to becoming a Balanced Leader can feel daunting. Doubts and fears arise. In a frantic world do I have the necessary skills and capacity? What behaviours will I need to develop and how can I model these for others? Getting it right is a concern for many women. We’re brought up to be ‘good girls’ who play by the rules. We worry about making mistakes and know we’re likely to be judged harshly when we do. In an earlier blog I wrote about Herminia Ibarra’s assertion that in order to think like a leader we must first act our way into leadership. When we’re pioneering a new concept like Balanced Leadership that can be easier said than done. One solution is to work with a coach to define future behaviours in line with our values; and to draw up a plan that enables us to grow into them. Coaching theory even suggests we connect with our future self who already has this covered and let her pull us forward. But how do we best connect with that future self – one of many possible selves we could become – so that we become clear on which skills and qualities are essential for our focus and success? The solution lies in feeling into new behaviours rather than trying to solve everything with our minds. And Appreciative Inquiry offers us a powerful process for doing this. Becoming curious about what makes a Balanced Leader – and putting that curiosity at the heart of our thinking – we’re ready to work through the four stages of Discovery, Dreaming, Design and Delivery. Key to the process is asking ourselves positive and generative questions that focus clearly on possibilities. So in the Discovery phase we begin by considering what’s already out there in our organisation that looks like Balanced Leadership. Can we think of tangible role models or even small instances of appropriate behaviour? When do we see it happening and in what context? We begin to Dream about the possibilities for demonstrating Balanced Leadership ourselves. What skills will we need to enhance? What do we need to commit to in terms of new behaviours? As the possibilities begin to take shape in our minds we’re ready to Design a new way of being. We consider what we’ll do differently and identify the support we’ll need to stay on track – both at work and at home. Finally we’re ready to Deliver – or as the AI practitioners would say – we’re moving into our Destiny. Living and working in balanced ways often requires us to navigate restrictive corporate cultures that tell us “it won’t work here”. Overcoming these barriers can feel challenging – particularly if we believe we’re pioneering something new. However, in many cases perception differs from reality. Where can I find suitable role models? Not all flexible working happens in plain sight. People will often agree an informal arrangement with their boss on the proviso they keep it to themselves. If they work in other parts of the organisation we may never know that the off-site meeting this afternoon is actually attendance at a child’s sports day; or that a key member of another department always works at home on Mondays. In an ideal world every employer would publicise their flexible working Role Models and make life easier for everyone. But we know this doesn’t always happen so we need to ask around. Internal networks that support women and parents are a good place to start. Who has the expertise to help me shape my working pattern? When I begin a corporate assignment one of my first tasks is often to identify what managers already know about flexible working. Typically I’ll ask them to share their experience – both within the current organisation and with previous employers. I’m always surprised by the breadth of knowledge that emerges. This then becomes a key resource for developing innovative flexible working arrangements that suit the business. What behaviour does this organisation reward? So we need to understand what’s currently being rewarded and in most cases to change it. Far too many workplaces continue to reward presenteeism and long working hours. Over the years I’ve come across employees passed over for lucrative assignments because they were working at home. Truly a case of ‘out of sight and out of mind’. Equally at risk are those who work less than full-time. There’s often a perception that stretch assignments require an individual to ‘put in the hours’. If that’s common practice in your workplace what strategy can you develop to ensure you’re not penalised? One simple step is to ensure you’re clear about the outputs expected of you and broadcast your achievements. Such behaviour may feel uncomfortable for many women who see it as boasting. But maintaining a firm focus on outputs and achievements can change conversations. And conversations in turn can slowly change expectations and behaviours. The more we know about what’s already working under the radar in our organisation the more powerful we can be in progressing our own balanced working. We can refute the “it won’t work here” claims and explore new possibilities with colleagues who’ve ‘been there: done that’.